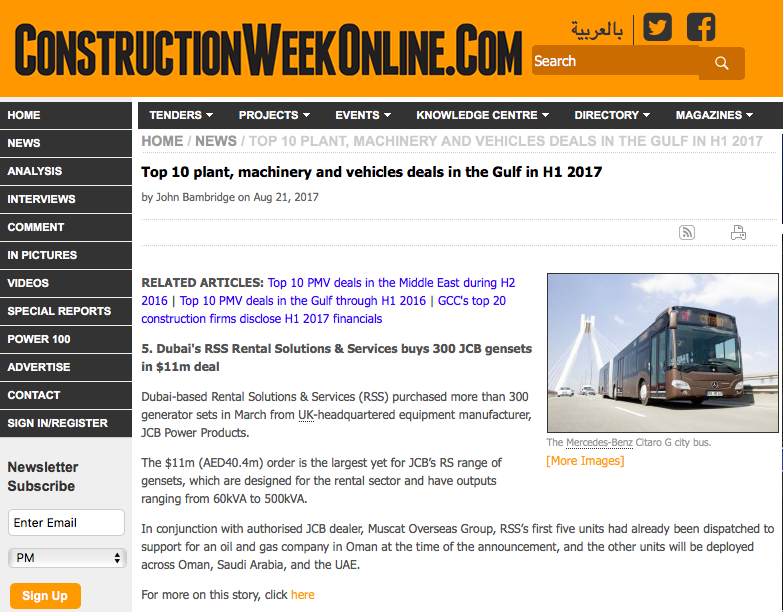 RSS’ $11mn purchase of more than 300 diesel generators from JCB Power Products has been listed in the top 10 plant, machinery and vehicle deals done in the GCC during 2017 to date. Placed in March, the order was the largest yet for JCB’s RS range of gensets, which are designed for the rental sector and have outputs ranging from 60kVA to 500kVA. RSS has since deployed the new equipment to projects located across Oman, Saudi Arabia, and the UAE.